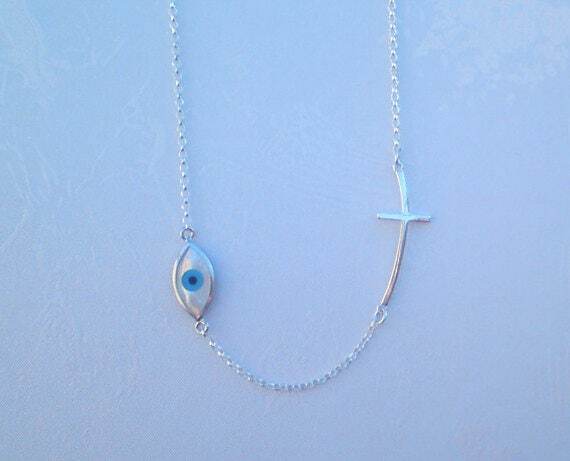 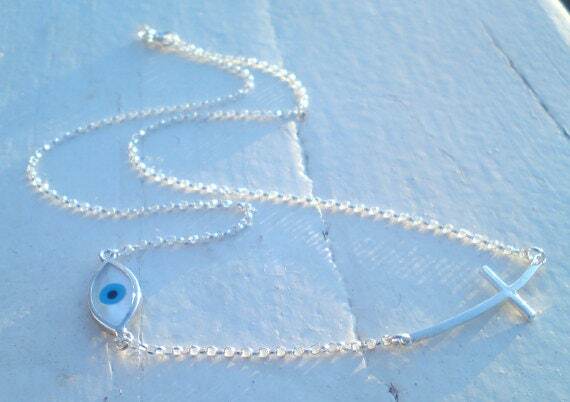 A nice, dainty sterling silver cross combined with a Turquoise evil eye hanging on a sterling silver chain. 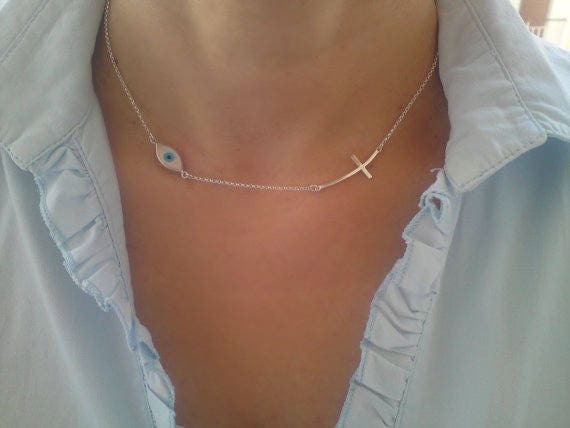 A delicate everyday piece. 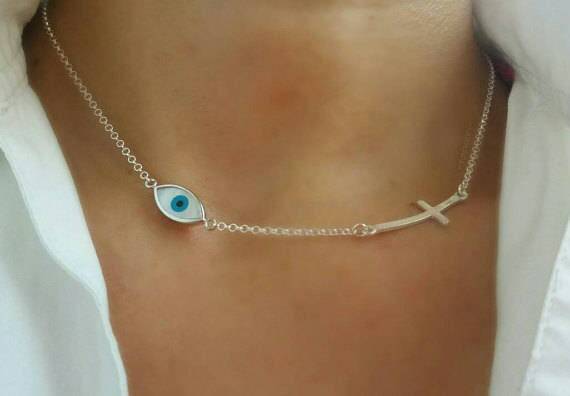 Made of 925 sterling silver.